Not a very interesting shot, but a funny story. As you may know, at lot of places in Japan, instead of ordering from the staff (in this case a chef and a his wife), you put money in a vending machine, press a button and take the receipt to the staff. Then they give you what you ordered. They didn't speak English and we didn't speak (or read) Japanese. 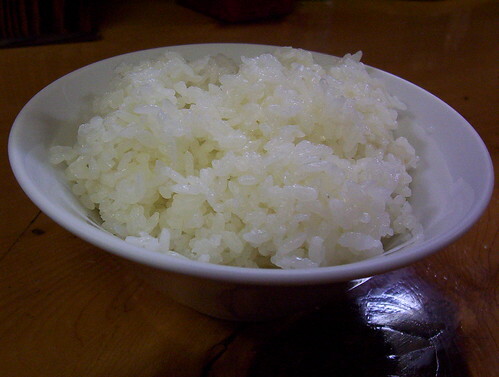 So our first dish when eating out was a bowl of plain rice.